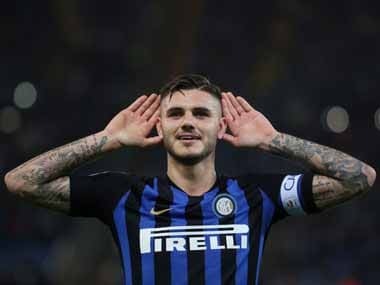 Milan: Argentina striker Mauro Icardi is the golden boy of Italian football as much for his goal-scoring prowess with Inter Milan as his colourful lifestyle off the pitch. The heavily tattooed 25-year-old from Rosario — also from the hometown of Lionel Messi — followed the same route as his illustrious countryman to Barcelona in 2008. He moved to Italy in 2011 to Genoa club Sampdoria before arriving at Inter Milan five years ago, taking over as captain in 2015. His ability to quickly put himself in a striking position and his accuracy in front of goal in a championship renowned for its tight defending have garnered 118 goals for the club. Luciano Spalletti, who took charge of Inter a year and a half ago, said: "He has no weakness, he is perfect. "Icardi is a complete striker and for his age shoulders so much responsibility." Icardi was joint top scorer in Serie A last season with 29 league goals. 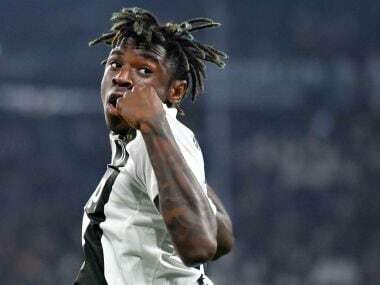 He was named Serie A Footballer of the Year last week, the first player not from Juventus to win since Zlatan Ibrahimovic with AC Milan in 2011. He gave each of his teammates a Rolex watch to thank them for helping him reach the mark for the second time in his career, saying "without you it would have not been possible" in a post on Instagram. Icardi will play his 200th game for Inter on Tuesday when Inter take on PSV Eindhoven in the Champions League in a crucial game for the club's progress in the competition they returned to this season for the first time since 2011-12. Icardi scored his third Champions League goal in Inter's 2-1 home win over Tottenham, but the Italians lost away to the English side, with both level on seven points. Inter will finish second and qualify for the knockout rounds if they pick up more points than Spurs manage away to group winners Barcelona. There has also been speculation about Icardi's future at the club should they fail to advance in Europe. Icardi insists: "I've always clarified my goals. "The first was to come back to the Champions League with Inter and we reached it, the second was to win something with Inter." 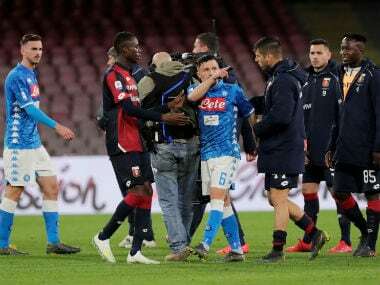 But Inter's title hopes were severely dented by a 1-0 Serie A defeat to Juventus last Friday which left Spalletti's men 14 points adrift of the champions. And he has been overshadowed by the arrival of Cristiano Ronaldo at Juventus, with the Portuguese star having scored 10 league goals to Icardi's eight. Neither shone in Friday's 'Derby d'Italia'. Mario Mandzukic scored the winner as Icardi failed to register a single shot on goal. His high-profile off-pitch life with wife Wanda Nara, the ex of former Argentina and Sampdoria teammate Maxi Lopez, regularly provides fodder for the Italian press and celebrity magazines. Argentine TV star Nara manages the interests of the striker whose contract expires in 2021, regularly revealing interest from top clubs including Manchester United and Real Madrid. 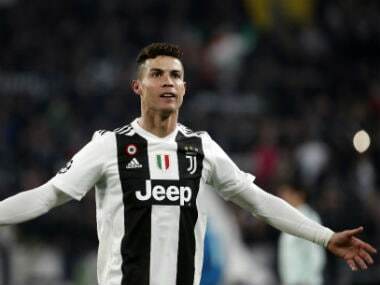 The player's contract reportedly has a 100 million euro ($114 million) buy-out clause, the sum which Juventus paid Real Madrid for five-time Ballon d'Or winner Ronaldo. "Icardi is on a par with Cristiano Ronaldo," said Nara. "He played three games fewer than Ronaldo (which is why he has fewer goals)." Icardi has also returned to the Argentina national side, amid reports he was repeatedly snubbed because of Lionel Messi's friendship with Maxi Lopez. He scored his first goal in his eighth game for his country, a friendly win over Mexico, last month.